This is who this young man is. No muss, no fuss. No complaining, no hold-out or playing games through the media with his agent. He just signed like he plays, quietly, with no hullabaloo. It would be difficult, I sense, to find a Maple Leaf fan who doesn’t truly like this young man. He presents as someone who just appreciates his good fortune in life. If he is as humble as he appears—it’s all the better, for him and his career. Can he remain the humble, unaffected guy he seems to be now? Who knows, but he’s off to an awfully good start. Of course, it helps that he played well, and unexpectedly so (out of the blue, really) this past season. But it’s a wonderful combination for a professional athlete, and a bit of a rare one: talent, and a touch of down-to-earth genuineness. 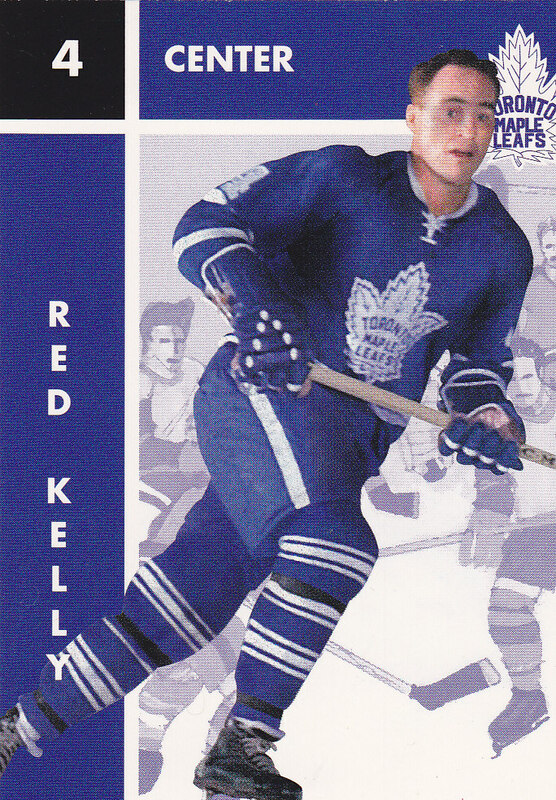 Red Kelly - Leaf fans with a sense of the team’s history know the story—the long-time Red Wing defenseman, an All-Star, refused a trade to the Rangers, quit, and ended up with the Leafs. He was installed as a center by then GM/Coach Punch Imlach, and he went on to help the Leafs win those four Stanley Cups in the 1969s. He also went on to coach to Leafs in the Sittler/Salming era. He was a Canadian Member of Parliament for a while—when he played! He was just a gentlemen who respected the fans and the opposition. Norm Ullman - Another ex-Red Wing. Unlike Kelly, who won 8 Cups in his elegant career, Ullman missed out on the Red Wing dynasty of the early 1950s, and arrived the season after Toronto won their last Cup in ’67. But he had a distinguished career, a player who rarely took penalties and was all class, and a great model to young teammates, on and off the ice. He never got caught up in being a “star”, though he was a well-deserving Hall-of-Famer, like Kelly. Allan Stanley - his teammates called him “Snowshoes” (he wasn't the fastest thing on skates) but he almost always got where he needed to go. Interestingly, he came to the Leafs after time with New York, Chicago and Boston, and really blossomed (into a Hall-of-famer, actually) with the Leafs. 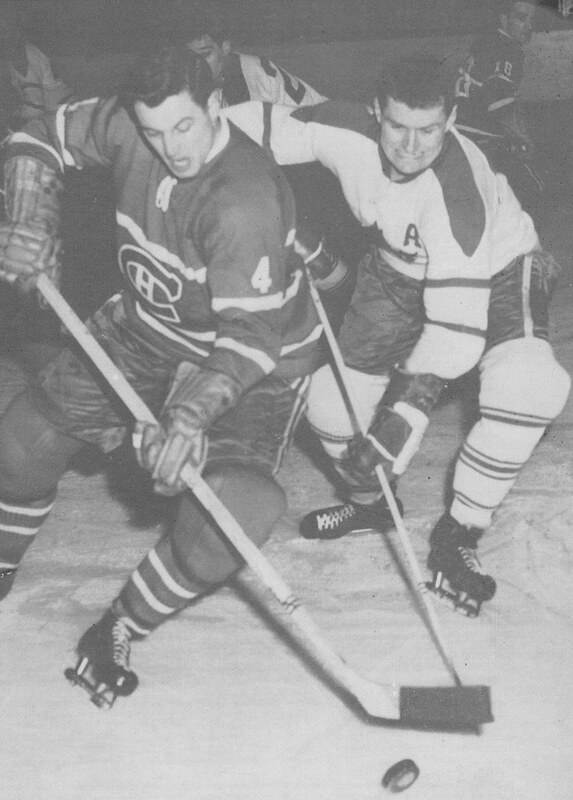 A great defenseman because he played angles expertly and was very smart on the ice (check out the late 1950s photo of Stanley battling Jean Belieavu at right). Just a nice guy and a great Leaf. Lanny McDonald - Yet another Hall-of-Famer who started off his career a bit quietly with the blue and white. He came in with big expectations from western Canada when he was drafted high in the first round in the summer of 1973. But he really settled into his role by his third season in Toronto and never looked back, despite a trade that sent him to the Rockies and then Calgary, where he won a Cup. Involved with many good causes throughout his career, still a well-liked and well-regarded individual, now approaching the age of 60. Wendel Clark - I don’t know if everyone would have him on their list, but for me Clark was a classic Leaf in the city of Toronto. People genuinely liked him and I sense he liked fans back. People loved the way he played (hard, tough, with skill) but also appreciated the way he came across. He didn’t say a lot, but he just presented as a “good guy”. 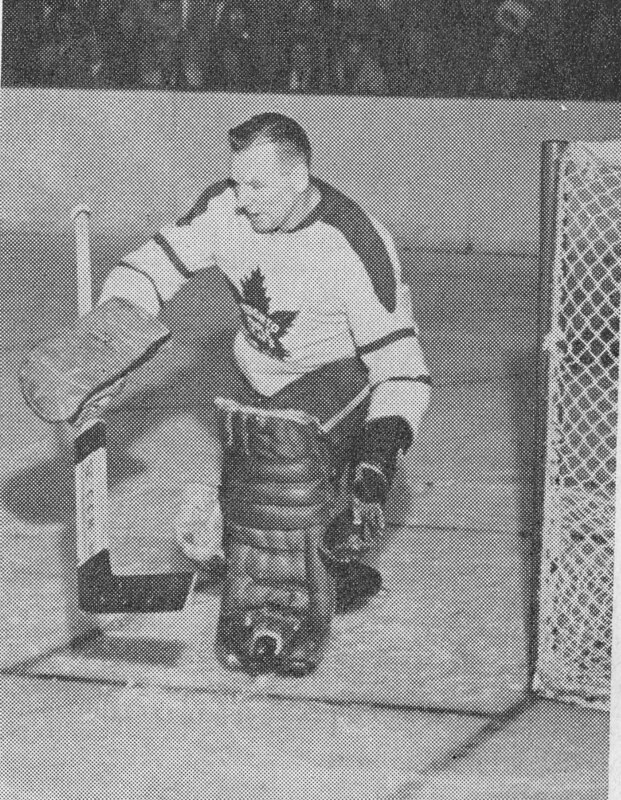 Johnny Bower - I don’t know if there could have been a nicer guy as a professional athlete in Toronto (or anywhere else, for that matter) than Johnny Bower (shown at right in the early '60s with the Leafs). He was beloved as a minor-leaguer where he played for a decade in Cleveland, but he never lost the everyday touch even as a “star” in Toronto. To this day, he is revered as one of the great individuals in hockey history. A fine player and a credit to hockey. Marc Reaume - I’m a bit biased because Marc lived a few miles down the road from where I was born in Southwestern Ontario. 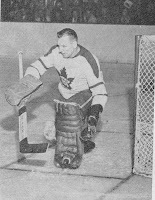 He played as a young defenseman with the Leafs in the mid-and later 1950s. He had an outstanding minor-league career until an accident nearly cost him his life in the early 1970s. He spent time with Montreal and Vancouver as well, in the NHL. Just a sweet, humble man. Ron Ellis - I’m guessing it would take a lot of detective work to track down someone who played with or against Ron Ellis who would say anything bad about the guy. If anything, he was too nice and thoughtful a person to play for as long as he managed to in the NHL. Just a quality individual, by all accounts. And a Maple Leaf his entire career, from the mid-‘60s to the early ‘80s, with a brief retirement in between. Mats Sundin - Now, I realize there is a distinction perhaps between being “classy” and nice or “like-able”, but for me, Sundin fits each of the above descriptions. For someone who was so talented and had such huge expectations on him every night, I thought he presented as consistently as humanly possible as a thoughtful, well-spoken leader of the Leafs for those many years. Howie Meeker is awesome, as well as Wally Stanowski. The late Eddie Litzenberger was a great guy too. Meeker and Stanowski are great old Leaf names, for sure. And I've heard as well many times that Litzenberger was a fine man. Plus, he wouldn't hesitate to jump in over his head to protect a teammate. I'd add Dave Keon. I met him when I was a kid - and haven't forgotten how great he was to all of us. As far as I know, he was a terrific ambassador for the Leafs during his stay.